Order within the next... 13 hours, 56 minutes, 11 seconds ...for dispatch today! 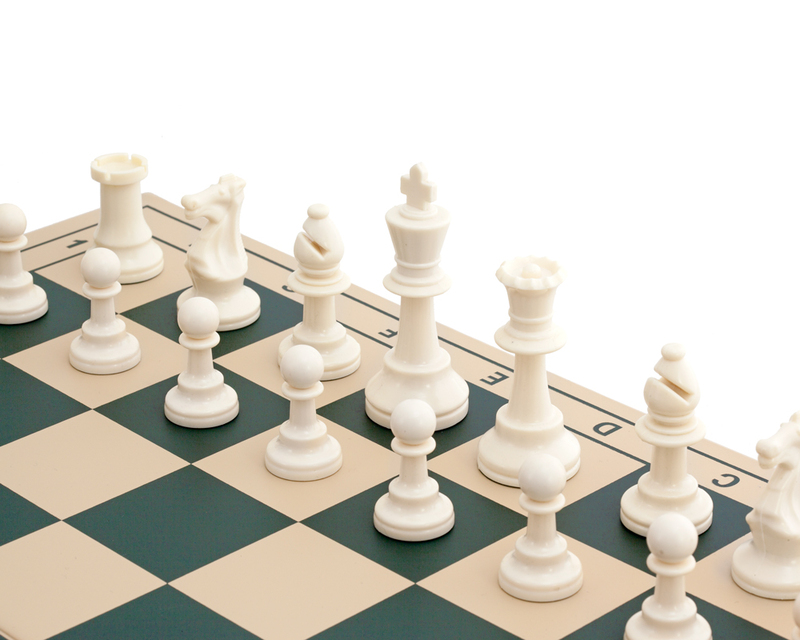 Tournament status chess set with plastic chessmen and pale colour folding vinyl chess board with green squares. 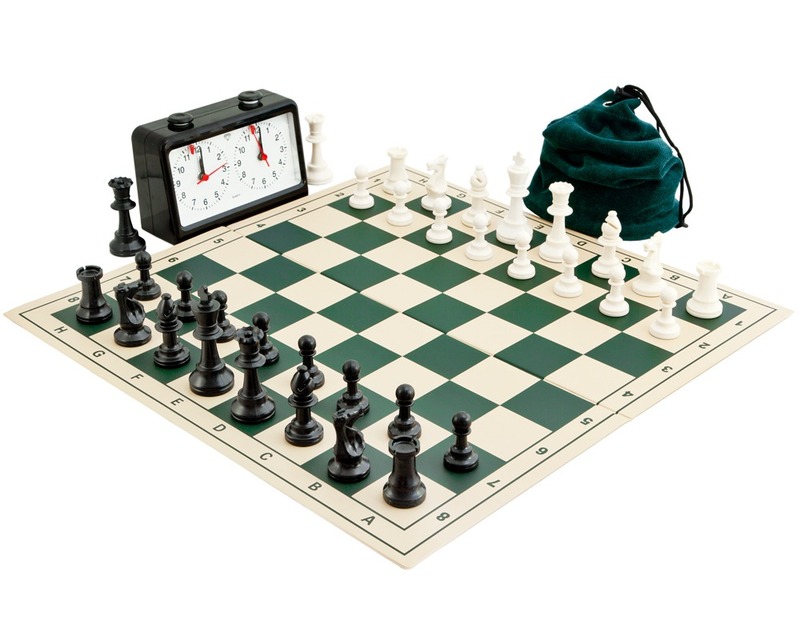 Quartz chess clock and green chess piece carry bag included. Please noteBoard background colour can vary from White to Light Beige. 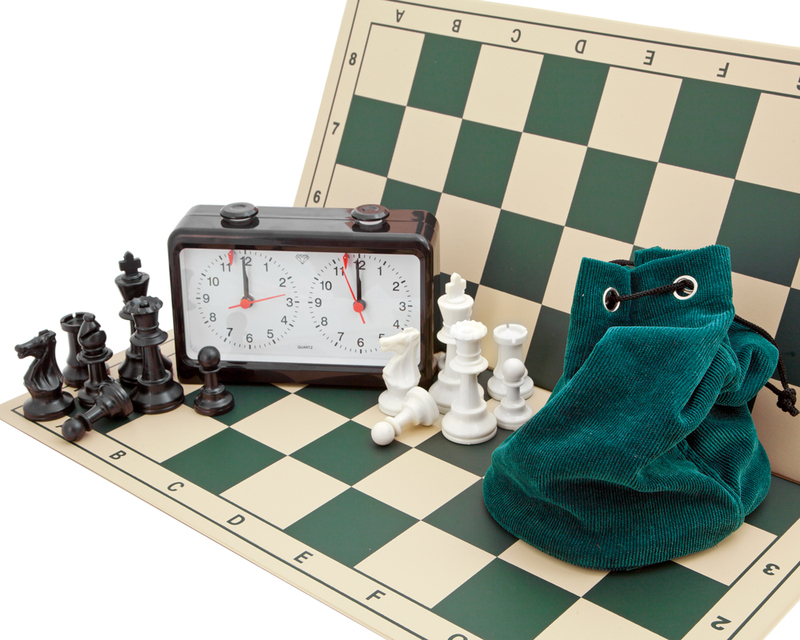 "My son loves this chess set with the timer clocks so can practise for tournaments and pieces feel robust."